Jeff Goldblum and his family pose for a GQ photo shoot. Goldblum wears Louis Vuitton pajamas with Tom Ford glasses. 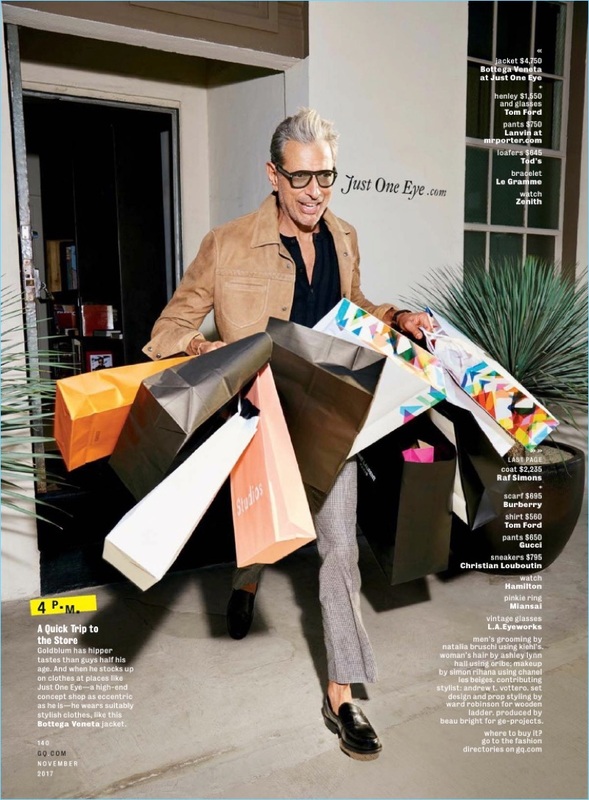 GQ sets its sights on Jeff Goldblum. The magazine celebrates age and style. At the age of 65-years-old and in great shape, Goldblum is the perfect Hollywood actor to follow. Photographer Peter Yang captures an over the top day in Goldblum's life. We get to see Goldblum with his family and running errands. Goldblum's day plans include an envious trip to the store. The American actor embraces lean lines and stylish pieces. 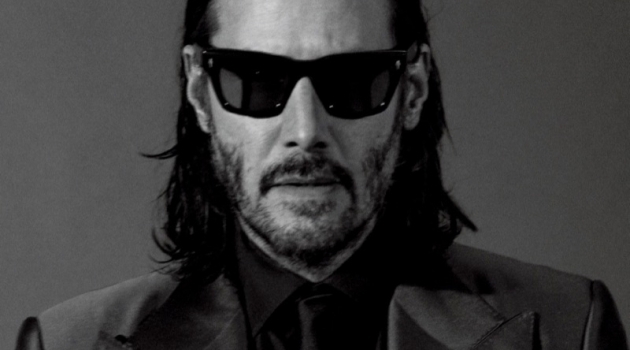 His wardrobe includes choice brands such as Bottega Veneta, Tom Ford, and Burberry. In addition to its Goldblum feature, GQ catches up with basketball legend LeBron James for its November 2017 cover story. 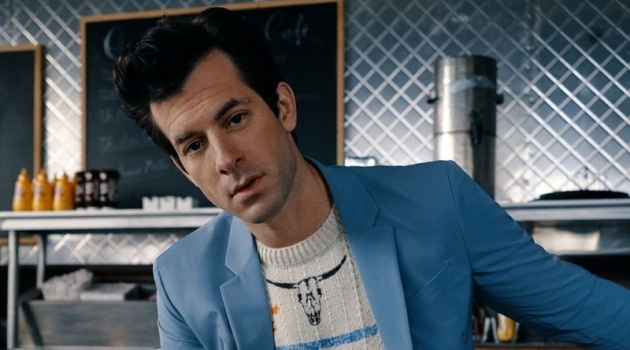 Getting ready for his day, Jeff Goldblum wears a sweater by The Elder Statesman. He also dons Gucci check pants and loafers. Dancing with his wife, Jeff Goldblum wears an Emporio Armani suit. The actor also rocks Stubbs & Wootton loafers, a Borsalino hat. His suit is complete with a shirt, pocket square, and tie by Eton. Shopping, Jeff Goldblum wears a Bottega Veneta jacket with a Tom Ford henley. 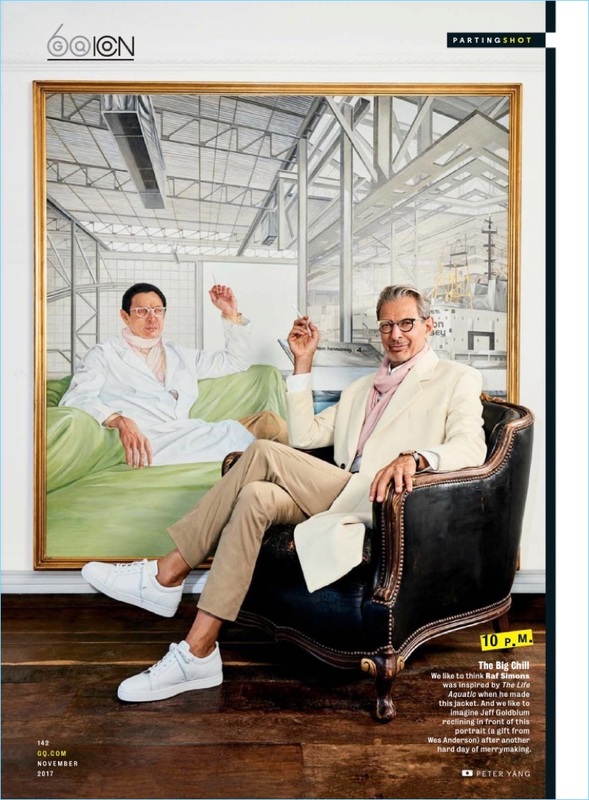 Goldblum also dons Lanvin pants and Tod's loafers. Relaxing, Jeff Goldblum wears a Raf Simons coat and Burberry scarf. He also rocks a Tom Ford shirt and Gucci pants with Christian Louboutin sneakers.